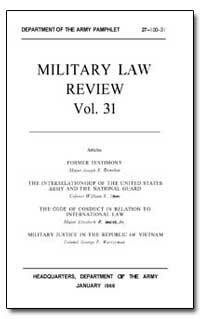 International Law Library contains the following publication collections: Department of Justice Collection, Central Intelligence Agency Declassified Collection, Department of Energy Collection, Briefing Archive Collection, Herring Archive Collection, Office of Justice Programs Collection. 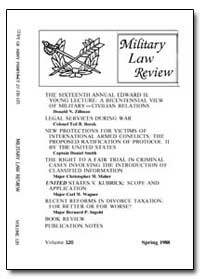 Office of Justice Programs and the Department of Justice Publications Collection: Funding, Training, Programs, Statistics and Research about The Justice System, Law Enforcement, Courts, Prosecution, Indigent Defense Juvenile Justice, Corrections/Managing Offenders, Crime Victims, Violence Against Women, Family Violence, Fighting Crime, Technology to Fight Crime, Terrorism & Domestic Preparedness, Substance Abuse. 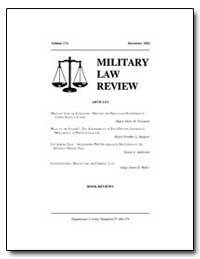 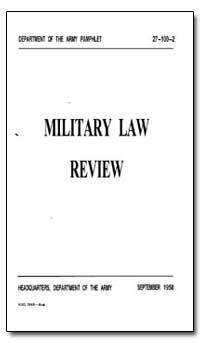 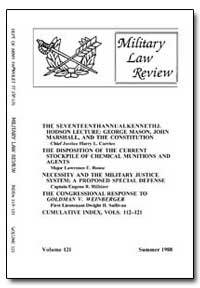 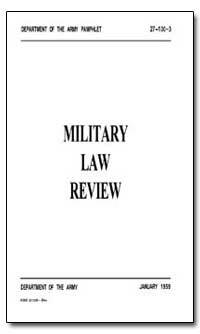 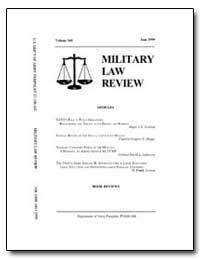 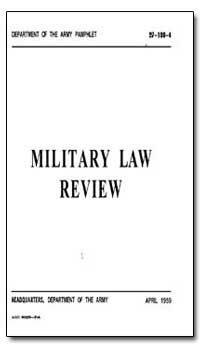 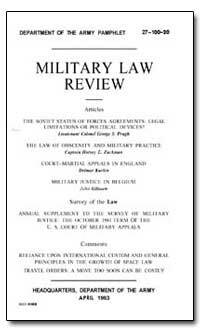 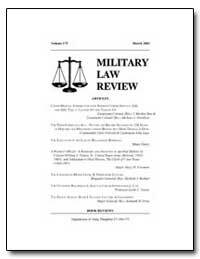 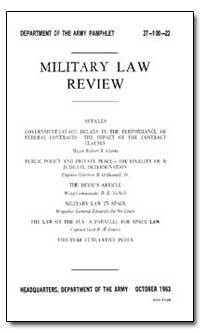 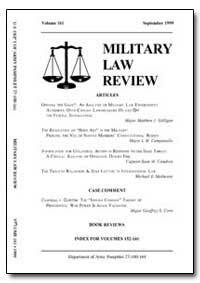 Preface: The Military Law Review is designed to provide a medium for those interested in the field of military law to share the product of their experience and research with their fellow lawyers. 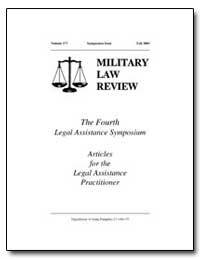 Articles should be of direct concern and import in this area of scholarship, and preference will be given to those articles having lasting value as reference material for the military lawyer. 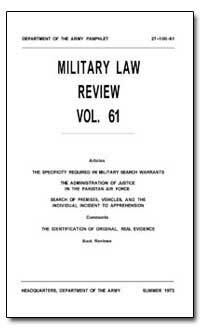 Excerpt: This article discusses a need for a definite description of the place to be searched and the things to be seized in military search warrants. 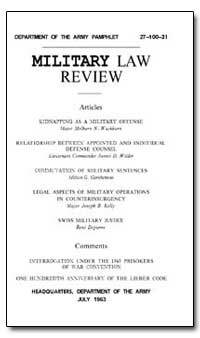 The specificity standards for research are identified, defined and analyzed. 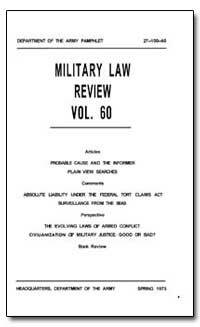 These standards, revealed in federal case law and present military practices, establish certain guidelines to be followed and that the standards of specificity be applied to the place, the person, and the thing.